Name: Women in Business: Helping You to Look & Feel Amazing! This is an exclusive opportunity to hear award-winning Image Consultant, Sue Burton speak. Sue provides professional guidance and tuition in all aspects of personal style and colour co-ordination. Sue is a leading Image Consultant & Tutor and draws on her life-long passion for design, colours & textiles together with her personal experience as an artist, designer and college lecturer. Sue has been an instrumental leader in the development of colour analysis training courses within higher and further education colleges and has achieved great acclaim through her many seminars and presentations. With over 25 years' experience in the image business, Sue is always keen to share her knowledge and expertise. Studio consultations, workshops, Looking Good Colour Events, etc. available throughout Nottinghamshire, Derbyshire, Yorkshire and Lincolnshire. How to look your best ... Looking and feeling fabulous everyday should be fun and easy. With the right help and advice, it can be. Wearing the right colours can boost self-esteem, give added confidence and improve your general well-being. The event will demonstrate how a range of colours can be selected which are perfect for natural colouring, and how to wear shades in more interesting and flattering combinations. Learn the art of colour co-ordination and how to achieve a truly integrated wardrobe - create the maximum number of outfits from a minimum number of garments! ‘Looking Good’ is a very entertaining and educational presentation with colourful exhibits, a practical demonstration, and audience participation to show how to select clothing perfectly suited to individual colouring. See how easy it can be to create a colour co-ordinated wardrobe of clothes and accessories and how to combine fabrics to create stunning results. The presentation gives a taster of what to expect during a more in-depth studio consultation or by attending Looking Good Colour Events which are held at various locations. 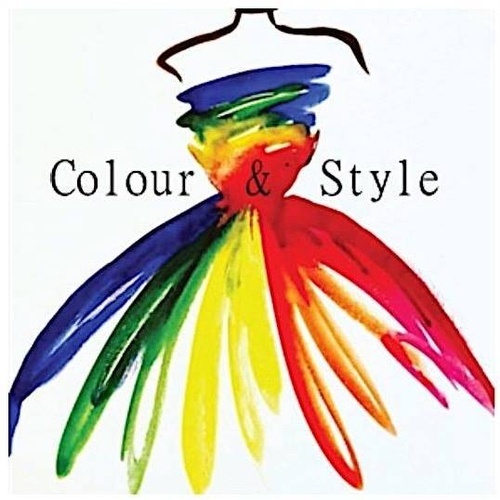 Award-winning Image Consultant, Sue Burton of Colour & Style Analysis Image Consultancy, provides professional guidance and tuition for individuals/groups, businesses and retail organisations in all aspects of personal style and colour co-ordination. A leading image consultant & tutor, she has drawn on her life-long passion for design, colours & textiles together with her personal experience as an artist, designer and college lecturer. Sue has been an instrumental leader in the development of colour analysis training courses within various colleges and has achieved great acclaim through her many seminars and presentations.